Oil Reclamation and Sorbent Reactivation - ! Equipment for Transformer Oil Reclamation. GlobeCore. and the second type of unit (UVR series) utilizes a manual sorbent reactivation system. Fuller’s Earth is a mineral that has a very large surface area of high chemical activity. During the regeneration process, the high activity chemical sites on the surface of the material become blocked by polar compounds. They are then rendered inactive when they have processed the maximum amount of contaminated oils, fluids or fuels. With older Fuller’s Earth Systems, the spent sorbent material had to be removed and disposed of after every regeneration cycle making the regeneration process time consuming, labor intensive, very expensive and very damaging to the environment. There was no efficient and cost effective way to Re-Activate the sorbent materials, so they were discarded. Regeneration can be defined as meaning; “the process of cleaning our polar compounds,” e.g. from insulating oils. The oils and fluids were being regenerated, but the sobent filtering materials amounted to nothing more than costly waste products at the end the regeneration process. The industry needed a way to re-use the sorbent materials by Re-Activating the sorbent qualities so that the Fuller’s Earth could be used over and over again like the oil it was regenerating rather than being discarded into landfills and possibly contaminating ground water. The problem was how to do this without a costly, time consuming, and labor intensive process. 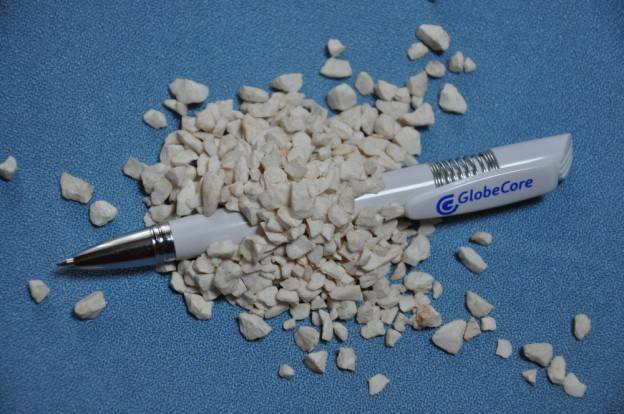 Times have changed, technologies have advanced, and GlobeCore engineers have developed a new industry leading technology that allows oil regeneration and automatic sorbent Re-Activation to be combined into one piece of equipment. So now we have a machine that can regenerate oil and re-activate its own sorbent material automatically after each regeneration cycle. The GlobeCore engineers have eliminated all three elements that prevented the widespread use oil regeneration equipment; high cost, lost time, and intensive labor. The GlobeCore Process utilizes a Fuller’s Earth sorbent filtering process that purifies and regenerates transformer oil and other fluids and fuels and reuses the same sorbent materials over and over again up to 300 regeneration cycles. The regeneration process is now faster, more efficient, far less expensive and much more environmentally friendly because it greatly reduces waste and preserves precious resources. GlobeCore engineering is always looking for and finding solutions that reduce costs, increase efficiency, provide value and protect the environment. The automatic Fuller’s Earth reactivation system is another example of GlobeCore’s worldwide industry and environmental leadership in the transformer maintenance equipment industry.